Unlike yours truly, Mr. Bacon is not a huge dessert person. So when he goes back for a second piece of something sweet, I know it’s a winner. 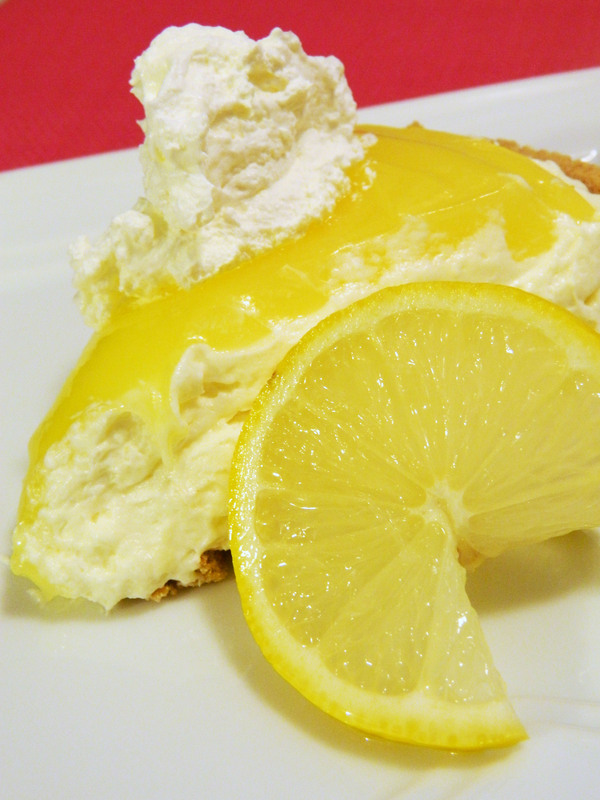 This lemon pie was crazy easy to throw together and had a good balance of tart, sweet and creamy. It would be a great addition to any long weekend gathering! Hat tip to Bakerette for the recipe. Beat the cream cheese and the sugar with a mixer until fluffy and well blended. Add half of the lemon pie filling and mix until well incorporated. With a spatula, fold in the Cool Whip, mixing well with the cream cheese mixture and spread it in the bottom of the pie crust. Gently spread the remaining lemon pie filling on top and allow to set in the fridge for at least 15 minutes. **NOTE – This is the small tub of Cool Whip, not the larger 1L tubs sold in most stores in Canada. I bought mine in the US so if you’re using the large size tub, reserve about half to dollop on top of the pie before serving. I would send a slice with Jon today but I don’t know how it’d travel in 27 degree heat! I love the idea of this dessert! Thanks! Ooooo! Looks so yummy! Must try this one. Would be a good camping dessert!